Let us start with a simple, single truth: The Omega Speedmaster was never designed to go into space. In fact, the designers meant for it to be used as a sports and racing chronograph. Hence, the addition of the tachymetre on the bezel and also the name ‘Speedmaster’. The first incarnation (ref. CK2915) was introduced in 1957. Commonly known as the ‘broad arrow’ in reference to its muscular hour hand, it set the design elements (subdials at 3, 6 and 9 o’clock, no date, logo and brand at 12 o’clock, prominent index hour markers) which will follow through in many of Omega’s future models. The early 1960s marked mens’ first forays into outer space. Prior to this, unmanned objects had been launched to varying degrees of success but the real race to put living men out to the cosmos began on 12th April 1962, when the Soviets launched Vostok 1, carrying Yuri Gagarin. The United States followed suit a month later with the Mercury Redstone 3. 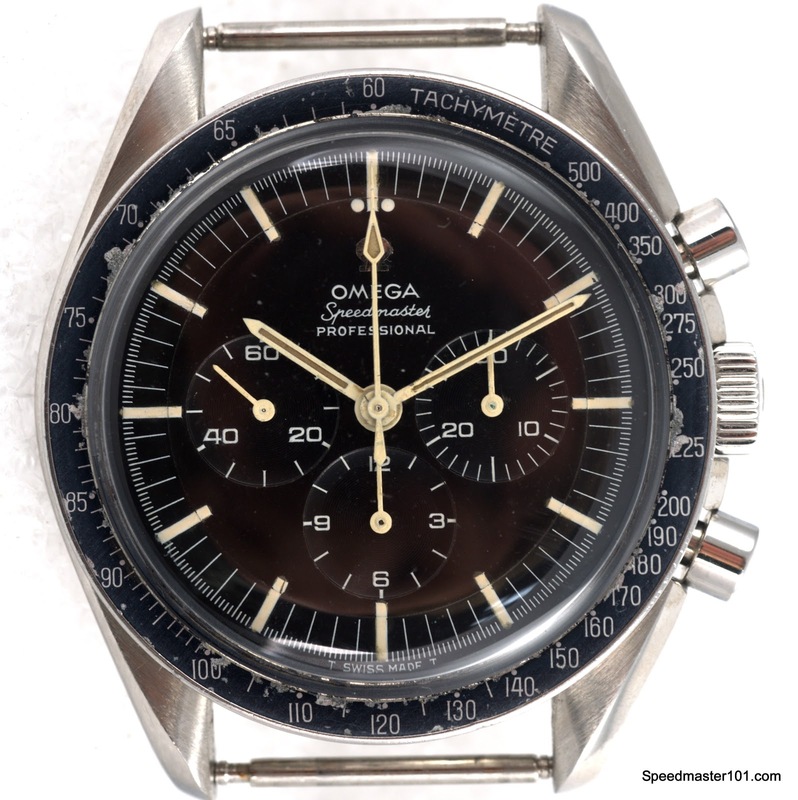 It is worth noting that Wally Schira, a US astronaut, was wearing his own Speedmaster (ref. 2998 – 2nd incarnation) on a later Mercury flight in October 1962. This makes the 2998 ‘the first Omega in space’ and Omega introduced several tribute models in modern times in celebration of this monumental achievement. Above: The original 2998. Note the sword (alpha) hour and minute hands. Since 1962, NASA was on a (somewhat half-hearted) search for a chronograph that could withstand the punishing conditions of deep space and had procured some models from Rolex and Omega among others. They were also facing increasing requests from their astronauts for an ‘official’ NASA certified watch so standards could be established. The search turned proper and in 1964, a young NASA engineer, James H Ragan, was tasked with sourcing the watches and testing them to pick the best of the lot. A ‘Request for Quotation’ was sent to (mostly) Swiss brands and only 4 responded. They were Rolex, Omega, Longines and Hamilton. The testing procedures were unlike any that have ever been seen though when you know it’s meant for space travel, it seems rather reasonable. Watches were subjected to extreme temperatures (both cold and hot) over an extended period, motion tested at breakneck acceleration/deceleration changes, shock tests from 6 different directions, reliablilty in high pressure environments and more. 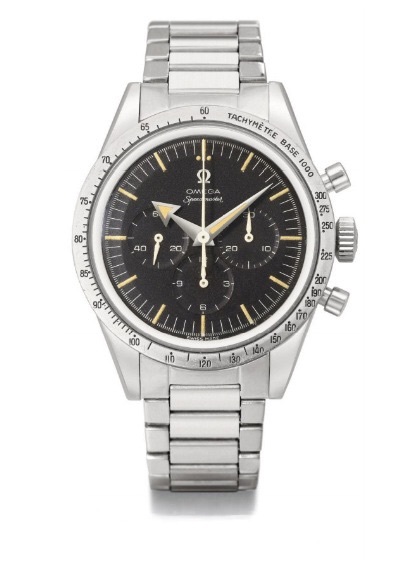 After 5 months of evaluation, the Omega Speedmaster was the only watch to pass all 11 tests on 1st March 1965. 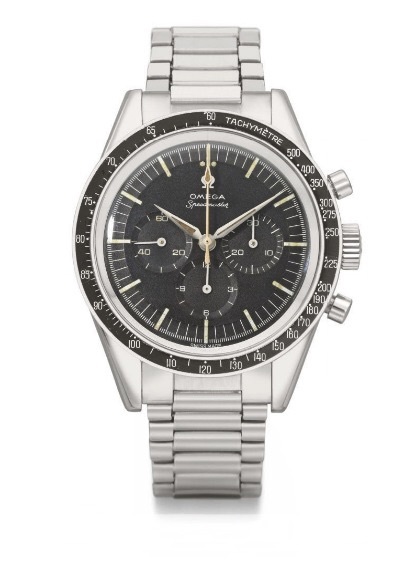 Meanwhile, Omega introduced 2 more models of the Speedmaster (ref. 105.002 & 105.003) but it was the 5th model (ref. 105.012) that made history. Above: The original 105.012. This was the first model bearing ‘professional’ on its dial. On 20th July 1969, Apollo 11 astronauts, Neil Armstrong and Buzz Aldrin landed on the moon with the 105.012 strapped to their wrists. To go into the details, Neil Armstrong actually left his Speedmaster onboard the shuttle as backup due to the electronic timing system on the lunar module malfunctioning. He became the first man to place his feet on the moon but it was Buzz Aldrin who wore the Speedmaster on its surface. With this, the Omega Speedmaster was forever cemented in history as the first watch to land on the moon and this is the highest of thrones from which no watchmaker would ever be able to ursurp.